Happy Friday SCT friends! We hope you’ve had a great week! It’s been quite a fun week around the SCT offices. We came home Monday from Crop & Create Winnipeg (miss those ladies!) and right into a BIG shipping week. This week we shipped over 600 SCT Samplers and we shipped a record number of subscriptions that have come in over the past two weeks. WOW! Thank you!!! Between all this fun and reading so many of your sweet comments on our 13th birthday celebration, our hearts are full and we are excited for a great and inspiring year ahead. Want to know what else we’re excited about? Our sweet friends from Honey Bee Stamps wanted to join us today to help us wrap up our birthday celebration by offering one more giveaway of a $50 gift certificate! 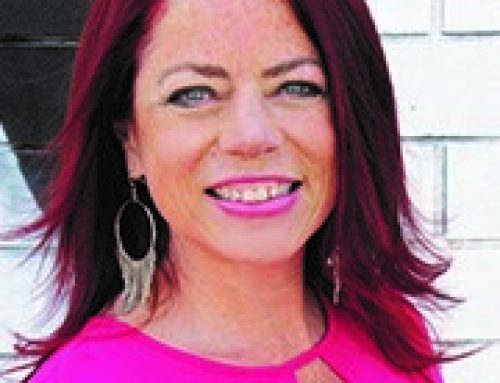 Thank you, Melissa and the Honey Bee team! For an opportunity to win this gift certificate we want you to visit the Honey Bee site HERE and in your comment below name one product you would love to order if you won today’s gift certificate! Leave your comment below by April 11th. Good luck! Once again all of us at SCT and our amazing partners would like to thank YOU for taking the time to join our celebration, to leave comments on our blog (and your emails, messages, and texts!) and all the comments on the social media sites of our partners. It was so very appreciated by all! Without further adieu, here are the randomly chosen winners of our 5 days of prizes! DAY 5: American Crafts GRAND prize package! 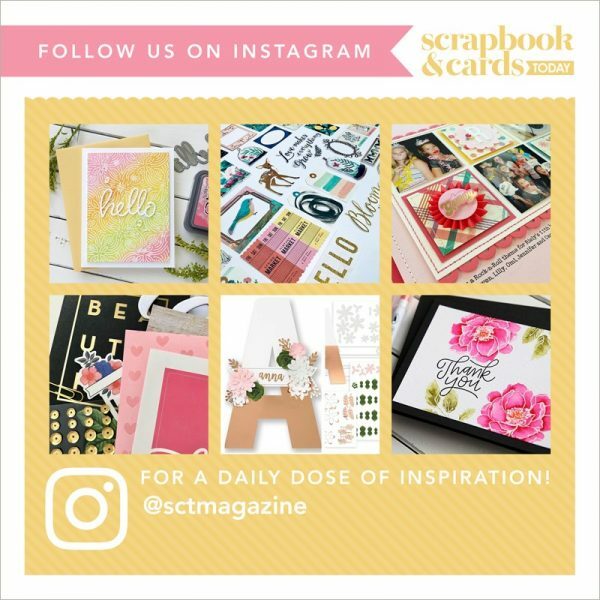 To claim your prize: please send us an email (from the email you left your comment) which contains your full name, address, and telephone number to ideas@scrapbookandcards.com and put “13th Birthday Winner” in your reference line. We will be sharing that information with the sponsors of each day so they can wrap up those pretty packages and send them off! We have another big year planned SCT friends and you’re very much the reason we do what we do! Thank you for continuing to inspire us! Congratulations to the winners! OMG. Its hard to choose… I love anything with the fox or even the bunny! I love the “Friendship” stamp set and “Grateful” too! Love these sentiments and would use them all the time! Congratulations to all of the winners! I love the Snow Buddies and Jingle All The Way stamp sets. Congrats to all the lovely winners! One product I would purchase is any cute critter stamps I just love colouring them! Thank you for the chance to win! 13 years of inspiring us every month…. what a gift that has been for us. If I was to win the Honey Bee stamp prize I would definitely have to consider Snow Buddies. Congrats to all of the winners! Can’t wait for my first issue to arrive! Love being introduced to new companies. I love the Mae the Mouse set (my Mom loves mice and this would make some cute cards!) I also love the background builder set! Congrats to everyone! I’d go with the honey bees and flower combo. Congrats to the winners. Thanks to Honey Bee for sponsoring another prize. I love the Zen Ocean set. Love it!! Congrats to everyone! If I won’t the gift card I’d be ordering the No Prob Llama and Liliy the Lamb sets just to start! Super cute stamps! Congratulations to all the winners. Choosing from Honey Bee is tough but I think I’d have to pick Mermaid Song and/or Under the Sea. Congrats winners! My Honey Bee wishlist is pretty big, but I think I would go with the Bee Hive and Hi Honey sets. I’ve seen some adorable cards with those lately! I love Honey Bee’s ‘Celebration Box’ die set. I can see using that over & over again. Congrats to all the winners! Cant wait to see what the future brings from SCT!!! I love the floral stamp sets in the Honey Bee store – Winter Anemone, Cosmos, & Buttercup. Beautiful!! So nice of them to offer a gift certificate! We have a little honey bee farm so I would love the bee hive line with the sentiment stamp! What I would love from Honey Bee is the mason jar card die. It brings back memories of my grandmother’s canning. The Ocean and Outdoor scene builder stencils, Mermaid Song, Under the Sea and the big Thanks die are all at the top of my Honey Bee Stamps wishlist! Congratulations to the five extremely lucky winners for your 13th Birthday Celebration! Enjoy your amazing prize packages! TFS! I love the extra birthday opportunity from Honey Bee Stamps. It is hard to pick just one item that I would buy because I could definitely buy several items. But I would just start with a watercolor paint pan. It is so much fun to make a stamp and then paint it with watercolors! Thanks for the opportunity! So excited to see I’m a winner! Thanks so much for the giveaways!! It’s so hard to pick a favorite from Honey Bee, but the Birds and The Bees stamp set is definitely on my list. Thanks again for the prize!! Congrats to all the winners! If I won I would purchase the Little Pickup stamp set and the Piece of Cake honey cuts. Just so adorable! I love that Silent Night stamp set. If I won, I’d get that and make a bunch of sweet Christmas cards! Hmm, I really like all the words with the double shadows but both the mouse and bear dies call out to me, too … might have to get all of them :). Thanks to SCT and Honey Bee Stamps! If I could choose, I would pick the Bee Hive stamp & dies and all of the Bee related products from Honey Bee Stamps. The bees & hive are so cute. Congratulations to all the Winners! If I won I would like the Zen Bouquet 6×8 stamp set. I have a couple of other sets of yours and they are great stamps and stencils. If I was lucky to win this prize I would order the zen bouquet set. I love flowers and coloring so that set would be perfect. Congrats to all! I would have a difficult time choosing but Zen Bouquet would be in the top of the list! Thanks SCT and Honey Bee! I had something else in mind when I went to the Honey Bee site. But then I saw the Little Pick Up stamp set and fell in love with it. That, plus the word stamps that were used in the samples would be my first chouce! Congrats to all the winners! I would love to order the postage stamp squares die set. Congrats to the winners! 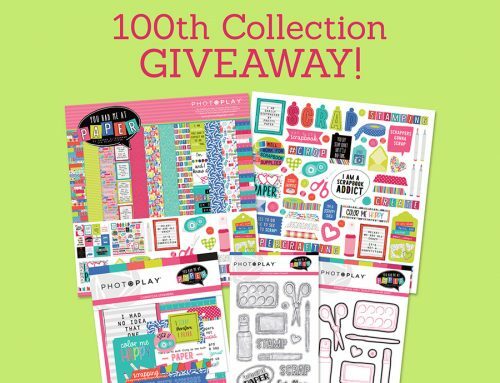 If I won the Honey Bee Stamps gift card, I would love to get the Bee Hive Stamp set, Mae the Mouse, Tea Time, Ocean Borders, and all kinds of confetti, sequins, bubbles, and dew drops! So much fun stuff to order! I was not familiar with Honey Bee Stamps until this post. I could spend hours looking at the products. I love the Coffee Cup Card | Honey Cuts. I could make some really cute cards with that! Love the hexagon bunches and bee-utiful sentiments. Difficult choice, but background builders looks like a versatile set of stamps. Congrats to the winners! 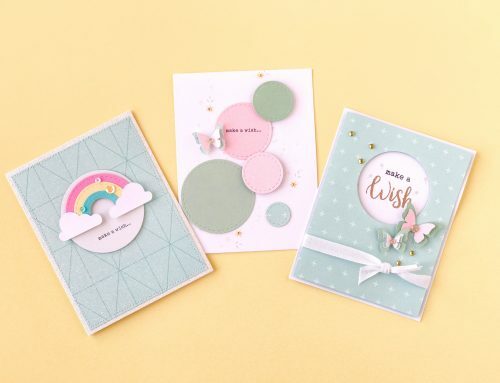 I love the Mae the mouse stamp set from Honey bee–and now they have all the Neenah CS in colors–so awesome! Congrats ladies!!! Enjoy your awesome prizes!!! Thanks to Honey Bee for this amazing gift! I would love to get the Threshold Card Die and Message In A Bottle Stamp and Die Set. Congrats all you lucky winners! What great prizes! I love the Cosmos stamp and die from Honey Bee. That’s where is start. Happy Birthday SCT, thanks for a great birthday giveaway! There were many, many items I would love to own so it was hard to pick just one thing. 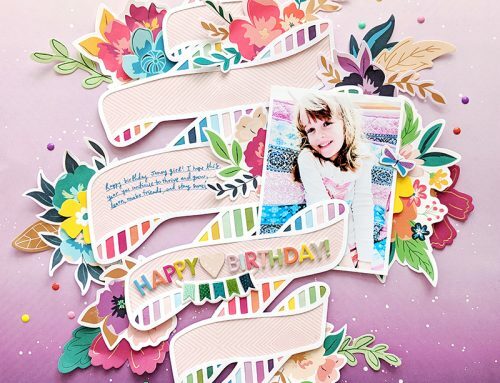 I am a practical scrapper and cardmaker, though, so I think the sentiment banners die cuts would be so useful and I would get a lot of use from them! Congratulations to the winners and thank you to all the sponsors! I really like the Zen Floral honeycuts. 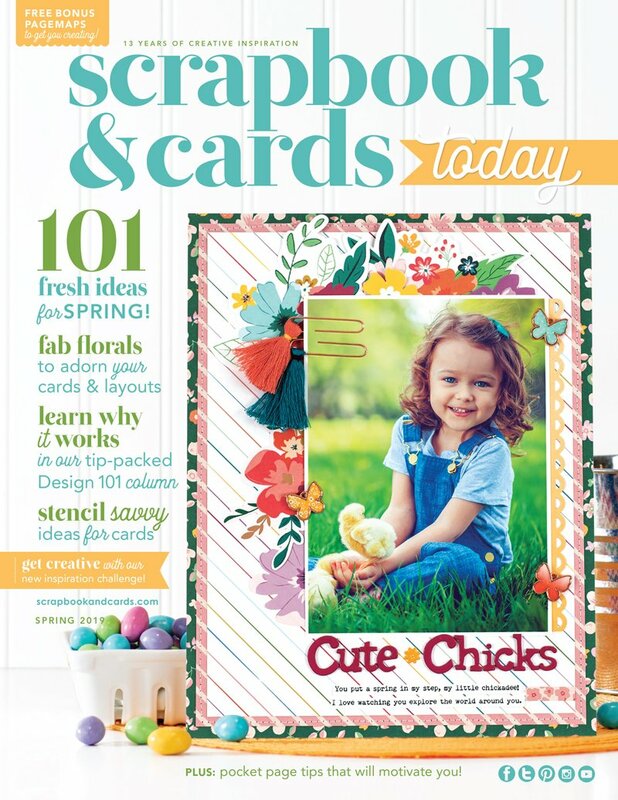 Perfect for card making and scrapbooking. I love all of the floral stamps by Honey Bee. I would love to order the threshold card die cut!!! Keeping fingers crossed 🤞🏼! I love the Cosmos stamp and die from Honey Bee. Thanks for the chance to win!! I love so many of the stamp sets from Honey Bee. I would like to win the gift certificate and would love to own the ZEN BOUQUET | 6X8 STAMP SET and the coordinating Zen Floral set! Absolutely gorgeous!! Congratulations to all of the winners! Love Honey Bee Stamps, right now Piede of Cake is at the top of my list. Thanks for the chance to win! I know the winners will enjoy their gifts. I think the Mae Mouse stamp is what I would like. I love all Melissa ‘s stamps and matching dies. Congrats and happy crafting to all the winners, and Thank you to all the Sponsors. Honey Bee stamps are very versatile, my one thing I would order with the gift certificate would be, BLAH BUNNY. It made me smile, I would pass the smile on in cards, journal and scrapbook pages. Happy 13th SCT keep inspiring us! I love HoneyBee Stamps! I’d order their Threshold Card set of dies and the very fun Blah Bunny set of stamps! I would love to order the Zen Ocean Stamp Set if I won today’s Honey Bee Stamps gift certificate!! After a lovely visit to the site I know I now need their fabulous honeycomb die! I also have discovered a need for more sequins as I am a magpie who loves shiny things:) Thanks for the great chance to win! Congratulations to the winners! I would buy the Bee Hive Stamp and the honey comb die. Congrats to all the winners! I love Honey Bee Stamps, and I would love to have the Zen Floral stamp… or the Blah Blah Blah stamp! Wow so many great things to choose from. Thank you Honey Bee for offering such a cool praise for SCT 13th birthday! I would get the snow buddies stamp set if chosen. Congratulations to everyone who has won. Congratulations to all the winners! I would buy the Deckle Edge A2 die set. Thanks for the chance! My favorite is https://honeybeestamps.com/products/winter-anemone-6×8-stamp-set with matching die sets. Happy birthday, and thanks for all of the great giveaways! I would love to order the Zen Bouquet! Congratulations Winners! Happy Birthday SCT! I would love to get my hands on the Honey Bee Stamps Zen Ocean stamp and die cuts. I’ve had my eye on it for a while and it’s just stunning! Thank you for the inspiration! I would totally add Coffee Break to my cart. So many fun sets, that I would love to play with! Congrats to all the winners! And thanks to Honeybee Stamps for extending the party! Love all the word stamps but the snow busdienst are by far my favorite. So cute and adorable an vertidile to use. I would fill my cart with tim holtz oxide ink. Thanks for the chance to win. The Buttercup stamp set is my favorite from Honey Bee products. I’d like to thank you for all you do for us and wish you a very Happy Birthday!!! Congratulations to the winners, such a nice Friday surprise! I love No Probllama and Little Pickup, so cute! I like the mix-n-match sentiment packs, I’d probably pick the Sympathy one. Thanks for the opportunity to win. I love the busy bees. Really cute! WOW – I LOVE Honey Bee Stamps products. If I was the lucky winner I would get the Threshold Card Honey Cut … a wonderful design that would make perfect door cards for all seasons, all year long, not just Christmas. Congrats to all the winners! I love the honey bees! Congrats to all the winners, lucky ladies. I saw a ton of sentiment stamps and some metallic paper, to add to my stash. I have quite a few products from Honey Bee Stamps! They have so many great designs. I especially love all the coffee-themed products. I would like to add the Hexagon Stacking Plates to my collection. I would definitely use a gift certificate on some of your dies, probably the deckle edge rectangles! I would most likely get the “Happy Fall Y’all” because I know someone who likes bees and sunflowers. So many stamps and dies. I love all their sentiment stamps especially the blah, blah, blah one. I love the zen bouquet stamp set as well and the zen floral one then there is the cosmos set which I love cause cosmos are one of my fav flowers. I Love Honey Bee! 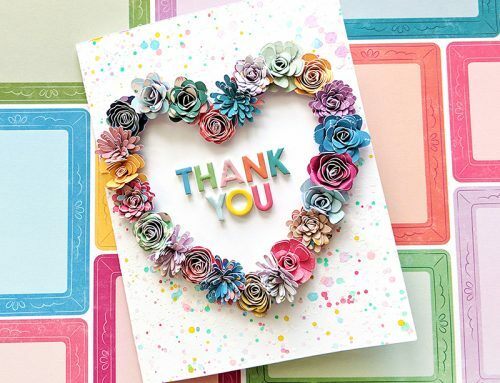 Thank you for the opportunity to win big…I will use the gift card for Bee Hive stamps,die cuts and the cosmos stamp’s, die cuts. And then some….!!! I could spend all day savoring the Honey Bee collections! I would most likely choose some dies, probably the stitched scallop circles or squares.Thanks Honey Bee! I would shop the clearance section and get as much as I could for my money. What a nice surprise from Honey Bee!! My list is so long there, but I have been wanting the Threshold Cuts ever since I saw Laura Bassen’s card with them so I would have to go with that. Congratulations to all the winners! Honey Bee has so many wonderful choices. I’d probably choose between the adorable critters or the shadow word stamps+dies. Hope I have to make this tough decision! Congratulations to the winners. If I win, I would want the Threshold Die set and the Deckle Circles. Thank you for the opportunity. Congrats 🎉 to the winners!! I love all honey bees cute little critters and their dies. Congrats winners! Congratulations to all winners! Enjoy playing with your goodies. So many great things to choose from! Definitely the Let It Snow stamp set would be my choice! Congrats to the winners! I love Honey Bee stamp products – I have had my eye on the Bee Hive and the Little Pick up stamp! Congrats to the winners. I would pick the Thanks and Giving stamp set from Honey Bee Stamps. have the stamps and dies that match. Congrats to the winners of the other draw. Congratulations to all the winners! As much as I want some of the stamps I would use the card to buy the Scor-Pal first. I am on a bit of buying restriction for a bit and I really could use the Scor-Pal. But I would also love the deckle edge dies. Congrats to all the winners. Thanks to Honey Bee for another chance to win. It’s hard to pick but would definitely get the Blah,Blah,Blah sentiment set. Congrats winners! Thanks for the chance to win yet another fantastic prize! The Little Pickup would be awesome. I’ve had a bit of a love affair with vintage trucks lately. I have been waiting to get the Forest Friends stamps and dies. That would be My first order! Thanks so much for the chance to win. Congrats to the winners! I would get the cosmos stamp set and the winter Anemone stamp set and die cuts. Thanks for the chance to win. Honey Bee have the cutest stamps – I’d choose Mermaid Song. Honey Bee Stamps is one of my favorites! They have adorable and fabulous designs for stamps and matching dies. Thank you so much for a chance to enter to win their gift card! Congrats to all the winners! I’m crazy excited for the Honey Bee prize. I’ve wanted to have some of their stamps for a long time but the budget only stretches so far. Thanks! Congrats to all winners! I am loving Honey Bee Stamps and would love to have the Mason Jar set on my wish list! Thank you for sharing! Congratulations to all of the lucky ladies! It has been one wonderful week! If I were to win, I would have to get the Busy Bees set along with the Bee-You-tiful phrases set, because they work so well together. Thank you for this fabulous week full of inspiration! Congrats to the winners!! 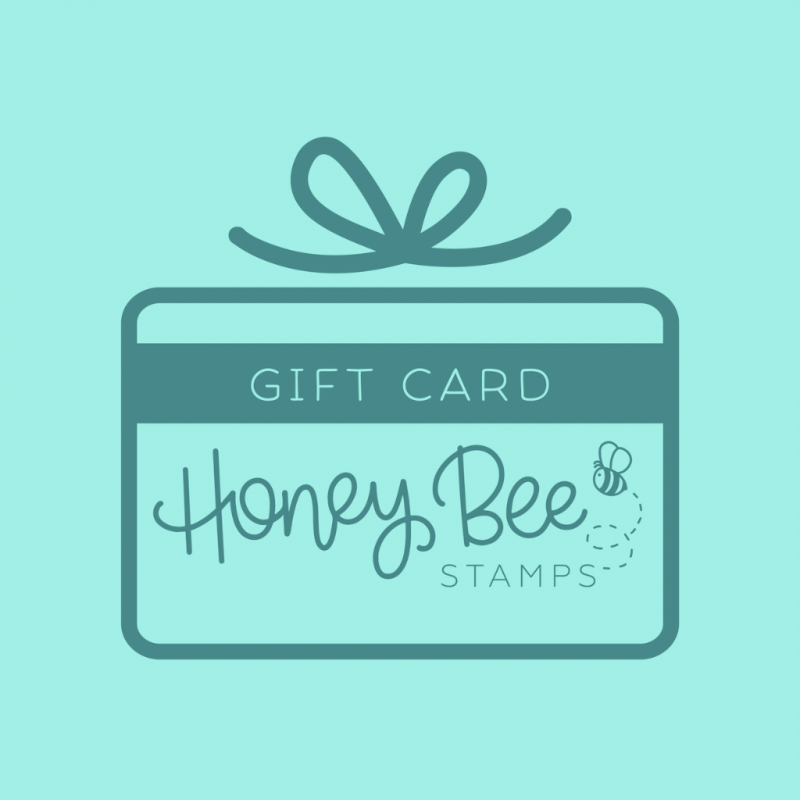 I would love to win a Honey Bee gift card, their stamps are fantastic! I would get the Thanks and Giving stamp set and the With Sympathy stamp set. Thanks for the chance to win! I like “You are loved”. Thanks. OMG! I absolutely love everything they make! It’s so difficult to choose just one item but for now I suppose it will be the Celebration Box. I love the Honey Bee sentiment stamps! That’s what I would order with a gift card. Thanks Honey Bee. I would order the Blah Blah Blah Sentiment stamp set. Yes, Congrats to winners! I will be ordering the Bunch of Bouquets dies with or without being a winner at Honey Bee stamps! How sweet of Melissa! I would probably get Blah Humbunny. It’s not the season for it, but I love those little slumped bunnies. Thanks for doing all these fab giveaways! The honey bee 🐝 stamps and dies. They are so cute! Thanks for another great giveaway. Congratulations to all the winners! Thank you Honey Bee! Congrats and thanks to Honey Bee. I’ve been wanting the Little Pickup Set for a while. Congrats to the lucky winners! Thanks to Honey Bee for sponsoring a great giveaway! I would get every Clay Heart that my cart would hold…they are SWEET! Congratulations winners!!! I LOVE HONEY BEE! Thank you for the chance! I really want the bee hive set! First, congrats to all of the SCT 13th birthday winners! I have so many items on my HB wish list. I think next on my list is the Piece of Cake stamp and die set. If you have never ordered from Honey Bee, you must! They are super fast and efficient. The packaging the products come in is super cute and there is always something special tucked inside. I always look forward to my Honey Bee happy mail! I would choose the heaven sent stamp set! Thanks for the chance to win! I would love the sentiment stamps…Enjoy and Hi Honey, especially! Thanks for the generous giveaway!! I like the friendship stamp. I would purchase stamps to try on my cards. If I would win the gift card,I would love to order the no Probllama stamp and die set. So cool! Such cute cards! Thanks for the chance to win in the giveaway. I think I’d have to have the Blah Blah Blah sentiment stamp set! I love HB coffee cup gift card holder! Happy bday and thanks for a fun celebration. BLAH BLAH BLAH | 4X8 STAMP SET looks great to me! I love Honey Bee products!! They come adorably packaged! 🙂 If I won the gift card, I’d get the BEE-YOU-TIFUL Sentiments stamp set. I recently ordered their Coffee Break and No Probllama stamp sets and Honey Cuts and LOVE them!!!!! Congrats on 13 years! Mae the Mouse stamp and dies have been on my wish list since they came out. I would definitely buy those if I was lucky enough to win. Thanks for a chance! Congratulations everyone, we all love winning prizes. I love all the Honey Bee products, couldn’t pick a favorite! BUSY BEES 4X6 STAMP SET.. Its adoreable.